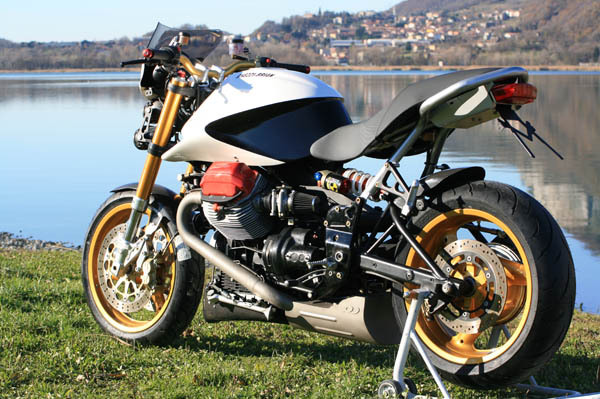 Those crazy, creative guys, Ghezzi and Brian of, you guessed it, Ghezzi & Brian, are introducing their second model featuring the Moto Guzzi 1100, 2-valve engine, the naked Furia. 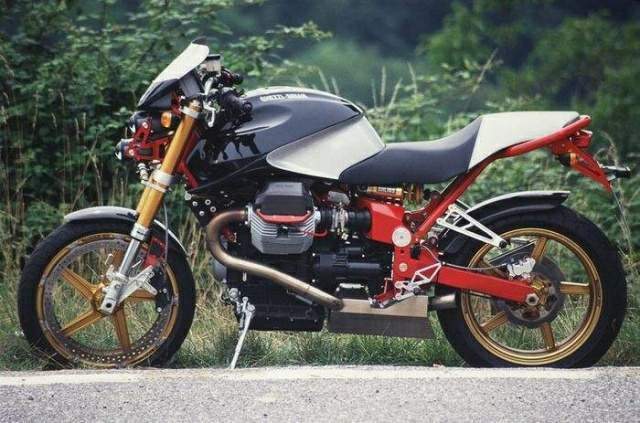 Ghezzi and Brian (Giuseppe Ghezzi and Bruno Saturno) formed a partnership in 1995 to create a racing motorcycle based on the Moto Guzzi power plant -- eventually, producing a machine available for the street known as the STW1100 (SuperTwin 1100). This gorgeous sportbike is dramatically lighter than a standard Moto Guzzi 1100 (less than 430 pounds dry) and, according to testers, handles beautifully. This is essentially the same bike raced to numerous victories in the Italian SuperTwins championship by Ghezzi & Brian riders. 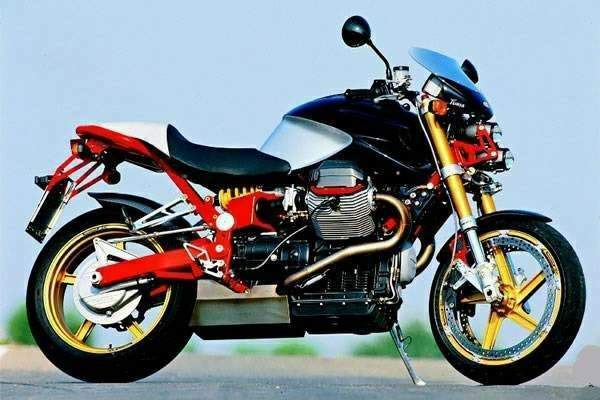 Now, Ghezzi & Brian are introducing a naked bike based on the tried-and-true Guzzi powerplant. 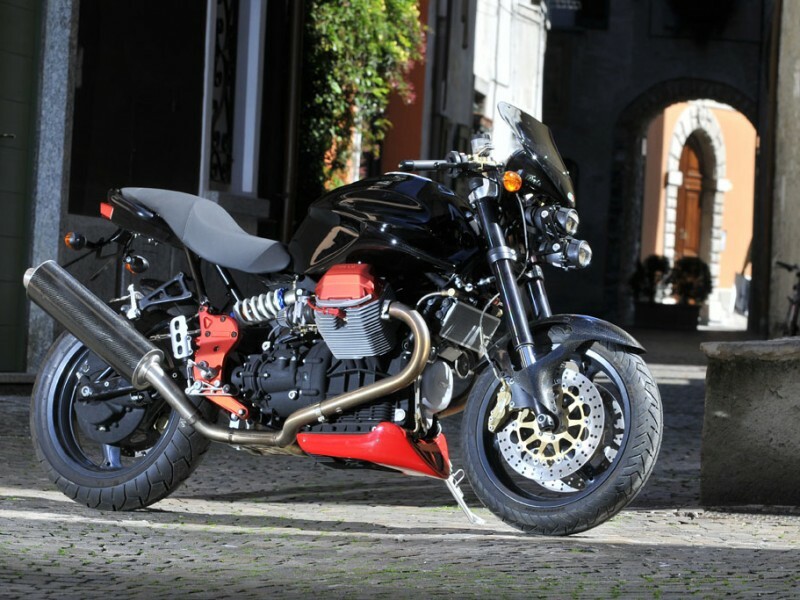 The Furia has a simple aesthetic, which emphasizes the Moto Guzzi powerplant. This engine has been around for a while (even serving duty in a tractor decades ago) and is loaded with character . . . and torque. Now producing roughly eight machines per month, Ghezzi & Brian have received rave reviews for their first model, the SuperTwin 1100, and the Furia looks perhaps even more interesting and exciting. It is bikes like these, from the small specialist builders of Europe, in particular, that add just the right extra spice to the world of motorcycling.